Contains cashew milk and soy ingredients. Manufactured in a facility that also processes tree nuts and egg. Contains peanut, milk, and soy ingredients. Manufactured in a facility that also processes tree nuts and egg. Protein Blend (Calcium Caseinate, Partially Hydrolyzed Whey Protein Isolate, Milk Protein Isolate, Casein Protein), Chicory Fiber, Coating (Maltitol, Palm Kernel Oil, Alkalized Cocoa, Whey Protein, Soy Lecithin, Natural Flavor), Soluble Corn Fiber, Isomalto-Oligosaccharides from Tapioca Starch, Cocoa Whey Crisps (Whey Protein Concentrate, Tapioca Starch, Alkalized Cocoa, Calcium Carbonate, Sunflower Lecithin), Glycerin, Peanut Butter, Alkalized Cocoa, Sunflower Oil, Natural Flavors, Sea Salt, Sucralose. Protein Blend (Calcium Caseinate, Partially Hydrolyzed Whey Protein Isolate, Milk Protein Isolate, Casein Protein), Peanuts, Chicory Fiber, Soluble Corn Fiber, Coating (Maltitol, Palm Kernel Oil, Alkalized Cocoa, Whey Protein, Soy Lecithin, Natural Flavor), Isomalto-Oligosaccharides from Tapioca Starch, Whey Protein Crisps (Whey Protein Isolate, Whey Protein Concentrate, Tapioca Starch, Calcium Carbonate, Sunflower Lecithin), Glycerin, Peanut Flour, Natural And Artificial Flavors, Sunflower Oil, Sea Salt, Sucralose. Contains cashew, milk and soy ingredients. 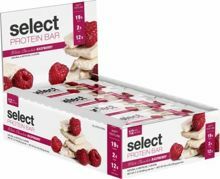 Jun 07, 2018 PEScience Fudge Brownie Select Protein Bars: Their Favorite One?! PEScience's newest flavor addition will be a Fudge Brownie Select Protein bar! We already have them in and they're seriously good - with whey crisps! Chocolate Fudge Brownie This is a Buy 1 Get 1 FREE offer! Chocolate Peanut Butter This is a Buy 1 Get 1 FREE offer! White Chocolate Raspberry This is a Buy 1 Get 1 FREE offer!